If you don’t have a large outdoor living space, but still want some greenery, consider installing artificial grass over your small backyard patio space. Since the space is small, the product and installation will cost less. The space will feel larger, feel soft under your feet and you will benefit from having a maintenance-free, green lawn year-round. 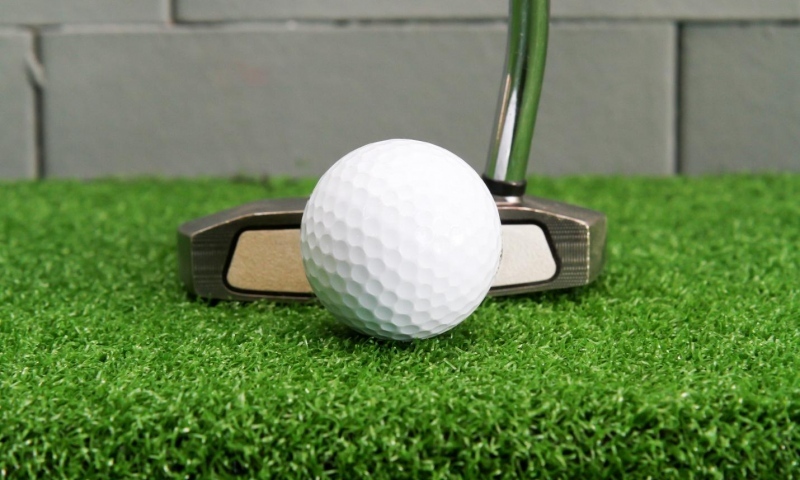 If you’re an avid golfer looking to up your game, consider installing some authentic putting turf in your backyard. Creating a space to practice and off your short game doesn’t even have to be outdoors. Artificial turf can be installed in the basement, den or even at the office! Learn how to build your own putting green. Around the backyard swimming pool. Surrounding your pool with artificial grass will create a pool deck that is more slip resistant and safer compared to a wet concrete or tiled pool deck. Synthetic grass doesn’t get slippery when it’s wet and it feels soft under your feet. Having fake grass around your pool will also help capture surrounding debris and dirt and keep more of it out of the water. Rooftop patios and apartment balconies. If you’re an urban dweller that needs a daily dose of greenery, consider installing artificial grass on your balcony or rooftop patio. Real lawn is obviously not an option for those spaces, but you can cut a patch of fake grass to fit your space. It can be cut to fit perfectly around deck rails, planters and other structure components of your small outdoor space. Add a colour flower planter, comfortable furniture and you’ll have the perfect outdoor living space. Yes, you can bring artificial grass indoors! Consider it for flooring in your sunroom or kids playroom. It can add that green touch of nature while remaining clean, soft and fluffy under your feet. Some designers have even used artificial grass as wall décor, applying cut-out shapes to make a create feature wall or to accent décor around a bar or retail store. Read more articles about artificial grass.